If I need to change a Sitecore user's password, the dialog requires that I submit the old password at the same time. Often I don't know the old password, so within the same dialog I can generate a new one, copy-paste it into the 'old password' field and then set a new password. These seems like a strange process. What is the rationale to this? I don't think there is any specific reason. My guess would be that it is just because that is how the ASP.NET Membership API is structured. You cannot change the password without knowing the password (which you can by resetting it). They should of course easily be able to combine it like above, so it's probably just an oversight on their part. 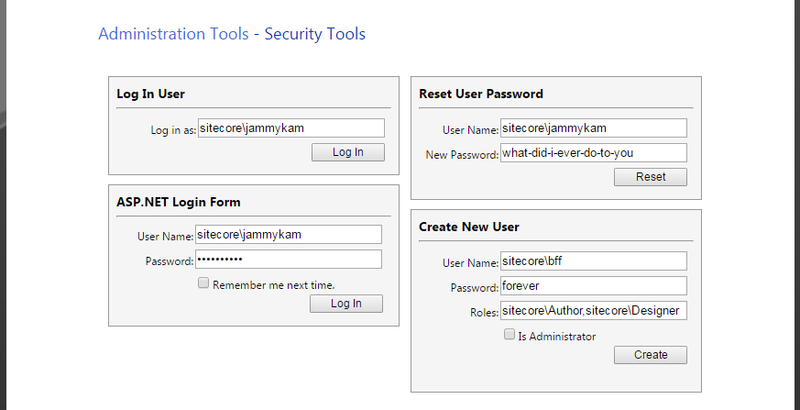 If you are using Sitecore 8.1 Update-2 or newer then there is a new Security Tools admin page that can be found at /sitecore/admin/SecurityTools.aspx. 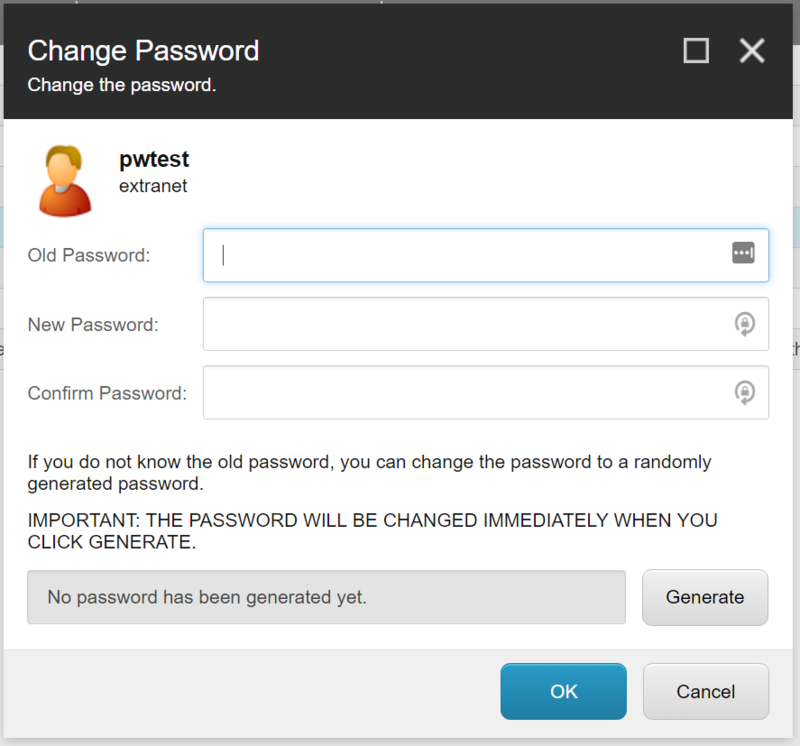 The Reset User Password wil allow you to reset a users password without first having to generate a random password first. You can find more details about this (and other new admin pages) in this blog post. The Asp.net Membership API uses a method called ChangePassword, hence the need for the old password. In case you have Sitecore PowerShell Extensions installed you can set a new password without knowing the old. Example: The following assigns a new password to three users. See the SPE help for Set-User here. The screen shared for admins as for non-admins. The only difference is that an admin has the option to use the generate button. As a user could only change his password if he's logged on, he could provide the old password. An admin wouldn't know the password and could use the generate button. Not the answer you're looking for? Browse other questions tagged security account or ask your own question. Sitecore using Dynamics CRM - which permission level does the user used in ConnectionStrings needs to have? Sitecore Trivia - Anyone know the story behind admin / b username/password? Why does Sitecore CMS UI trigger OWASP captcha when combined with Cloudflare?